President of the Kyrgyz Republic “On the development of the state youth policy”, a decree by the Ministry of Education and Culture Decree No.156 of April 5, 2002 in Jalal-Abad State University Youth Committee. Youth Committee of the Law “On Education”, the “Law” On state youth policy framework and rely on strong charter and regulations. Within the competence of the state youth policy is administered by the schools, the structural system. Walnuts on a special framework of the working space (Chairman), each assigned to one of the Faculty Speaker, the implementation of youth policy, helping to develop the students’ all-round, creating contacts with young people from other schools and to work closely with them, and socio-cultural activities able to carry out a consistent direction. The composition of walnuts Youth Committee, 7 speakers and 6 units, a volunteer organizer of the club, and 3 to 7 members. Speakers universities and colleges may also formed a team that has been active in the industry. In addition to training in order to impede the students’ free time is free, education and science, culture, and round table debates, social affairs, sports, and media sectors have organized a variety of events. “Wise” intellectual club, “sparks” Literary Club, “” Brutus, “JASU stars” This is debate clubs, and each faculty in the College brings together youth teams from universities working together interesting and active. Not only in the youth committee of the university’s activities, local, regional and national levels, as active participants in all activities, and surgery have high positions in the main honorary diploma and degree holders. Since September 2017 school year, until January 2019, a student at the Faculty of Pedagogy and Information Technology, who headed the Justice Usenov. 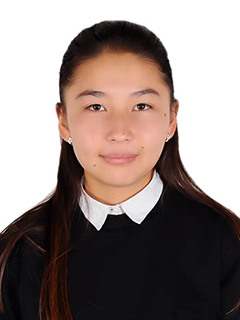 Since January 2019, school year has led Bazarbai interests.